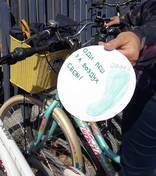 This year 650 pupils at the age between 10-11 from Karposh municipality took part in the campaign and collected 4,209 Зелени Стапалчиња (Green Footprints). 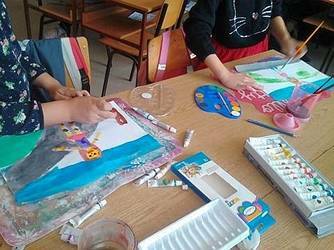 The NGO “Creative Centre Karposh – CCK /Креативен Центар Карпош – КЦК ” coordinated its activities in all ten elementary school on the territory of the municipality of Karposh. The main focus during the activity week was on the competition and also on organizing a number of different activities to collect green footprints. The schools that collected the biggest number of green footprints and organized different activities were awarded by the Ministry of environment and physical planning. The Ministry financially supported this campaign and provided the prizes for the most successful schools. 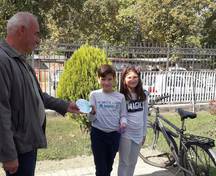 Five school received bicycles while 300 students were awarded with t-shirts, hats and badges. The prizes and certificates were given to all participants during the formal ceremony organized by the municipality. 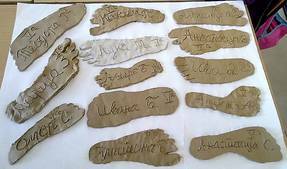 At this school, not only many green feet were made of paper, but footprints were even made of clay. A great idea! Together the 20 pupils managed to collect 193 "Green Miles". 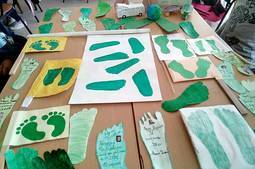 During the activity week 59 pupils of this school collected 377 "green footprints". 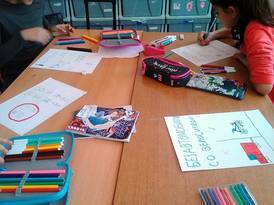 The kids were also creating some nice posters about the topic. 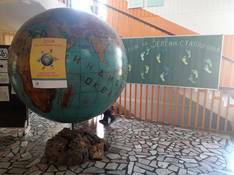 During one week 100 children from this school managed to collect 667 "green footprints". Congratulations! 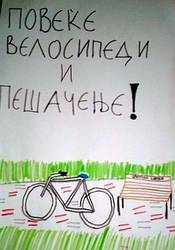 The pupils did a bike tour together and collected all the green miles on a shared poster. 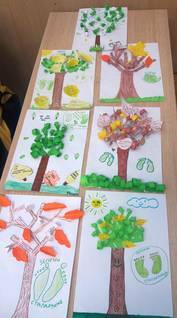 In addition to that every child created his personal tree with his desires and aims for the future regarding climate protection and a sustainable lifestyle. 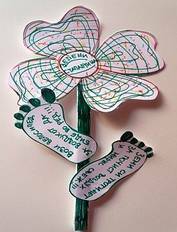 During the action week very creative "climate footprints" were created. The children obviously put a lot of effort into it and had fun cycling and roller skating. 64 children of the school collected 428 "Green Miles". 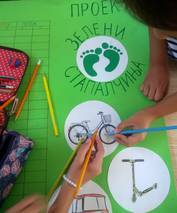 The 53 children of the Lazo Trpovski School also took part in the campaign and were able to collect 382 "Green Miles". A total of 856 "Green Miles" were collected at this school. The green footprints inside the school building and on the schoolyard are especially beautiful! 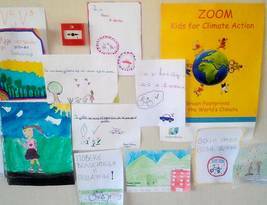 As climate protectors, 128 children from the school were on the road, who themselves had traveled climate miles and also informed drivers about it. A very good idea!